Is free movement good for ordinary Europeans? Wikimedia. CC. This letter is part of a “Looking at Lexit” series, edited by myself and Xavier Buxton. Over the next 12 months, as Brexit themes emerge in the news agenda, we will respond by posting our respective “commissioning letters”. Xavier questions continued free movement here. These letters will be sent to relevant experts, inviting them to contribute. But this is open commissioning : if you want to have a go at an answer, please PM me (@juliansayarer) or Xavier (@xjb20) with your thoughts. We’ll read everything we receive and then edit and publish those pieces that really move the question forward. 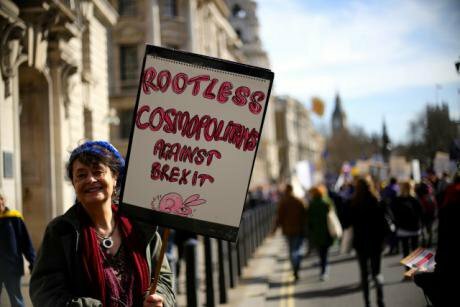 If the debate over Brexit has often been little more than a debate over immigration, then the left-wing incarnation of the ideological struggle has been spared none of the acrimony. Where the arguments of the economic left have posited that some curbs on migration are necessary to protect the conditions of both UK workers and EU workers within the UK, the arguments of the social left have held strong in affirming that the borderless EU is implicit to the spirit of internationalism and liberal values to which any left worth its salt must commit. The truth, of course, is not so simple. Non-UK, EU citizens working in underpaid and under-protected sectors make for a poor emblem of liberalism. The borderless nature of the EU extends only as far as the fortress frontier that defines the EU’s limits, and the liberal argument for EU freedom of movement holds little sway in the universities of Istanbul, Mumbai, Nairobi. The question, then, becomes whether the freedom of a veterinary surgeon from Timisoara, plying her trade - without barriers - in Devon, is a sufficiently virtuous opportunity for mobility that it makes worthwhile the enhanced barrier that her peer from across the border with Ukraine will face. Doubtless, there is much identity at stake in these arguments around mobility, and the very presence of overseas workers have been used too freely, and without scrutiny, as synonymous with a sort of cosmopolitan virtue. Where should we start devising a fair, open and genuinely borderless immigration policy, befitting the values of the left? The answer, as ever, is probably not from here. The question that must be put to those advocating a left wing Brexit, on movement as with other issues, is what is the alternative to the mobility on offer within the EU? While, certainly, there is the potential to devise a fairer immigration policy than either that of the Tories or the current EU, it is negligent not to ask how great the likelihood is of such a thing coming to pass within the climate of Brexit. This concern will likely be live even in those so-called ‘softer’ shades of Brexit. Single Market access, as the Swiss have discovered in their attempts to create worker quotas, will prevent the implementation of anything but acceptance of the EU’s version of mobility - a situation that returns us to the logic that the UK left, if it is concerned at EU policy on Freedom of Movement, is best-placed to influence that policy from inside and not outside of the EU. Moreover, for all that the many EU stories of loving, learning and travelling at ease around the Union can be exposed as hypocrisies when placed side-by-side with non-EU citizen difficulties, these experiences might as-easily be regarded as the gateway drug to a borderless world, rather than only a nefarious double-standard. It is important to remember that visa-free travel can and does exist currently with scores of non-EU countries, and will all but certainly continue to exist as whatever version of Brexit or no unfolds. 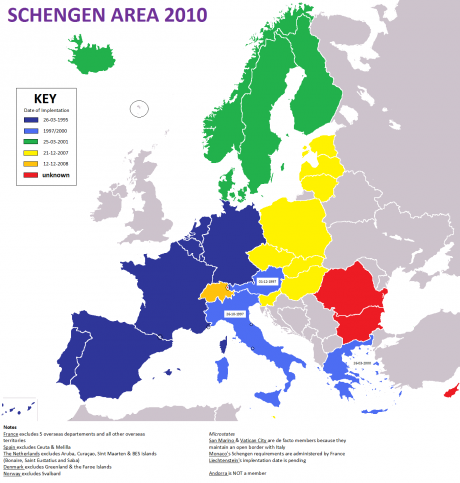 The EU’s borderless “Schengen” area has grown steadily over the last twenty years: the future of free movement lies within this bloc, not outside it. What will be far harder to replicate than pure mobility is the reciprocity of standards, the mutual recognition of qualifications, that certifies a French law graduate to have undergone a standard of training that is recognised as making them fit to study local law and then practice in either Paris, Berlin or London. Basic movement is one thing, but roots and the right to establish them are another; the US grants visa-waivers to the majority of EU citizens, but denies visas of the citizens of Bulgaria, Croatia, Cyprus, Poland and Romania. Those same citizens are entitled to move to the UK, find a home, and begin work without any document beyond their own passport. Equally, the EU as a bloc can militate on behalf of small, predominantly poor countries that would otherwise be impotent in the face of US hostility. That right; to arrive, settle and build a life, is of course also one that the US denies UK and all other visitors – the EU is unique in its facilitation of such a communion. The institutions of the EU are, in today’s world, a rare example of a bloc that empowers people, of different social and economic starting points, to try their hand at life in a country that would not otherwise have them. It is not perfect, no, but it is the right starting point.